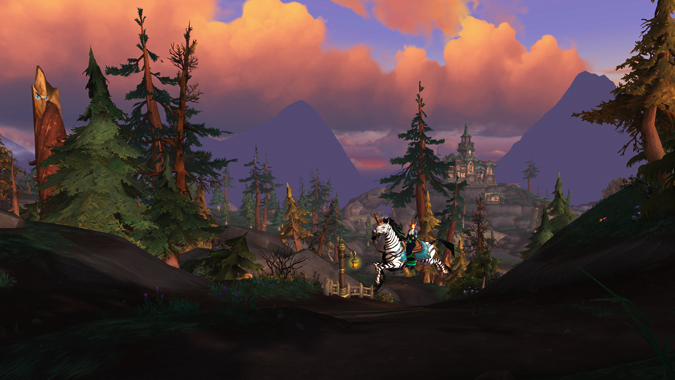 The moment we were waiting for finally came, and Battle for Azeroth launched earlier this month. 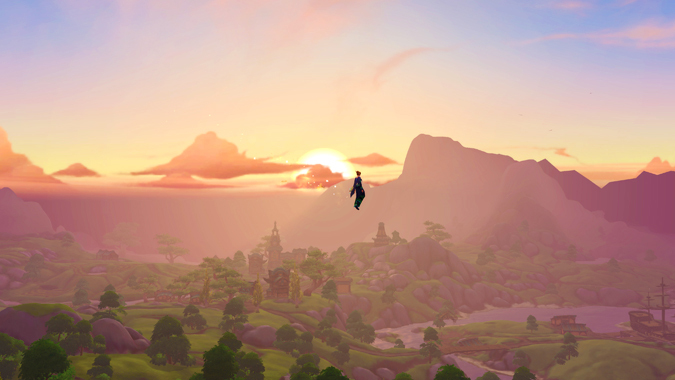 We’ve had several weeks to play it out, and there were even balance changes going through right to the very end. 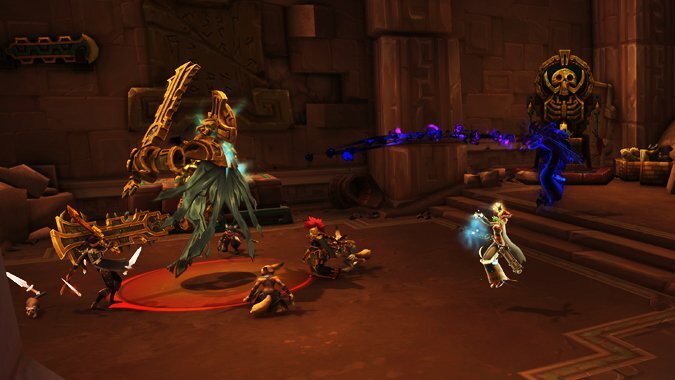 Discipline and Holy Priests are relatively straightforward, and the new Azerite system offers some interesting dynamics without changing our playstyle very much. So, the new shtick this expansion deals with our shiny new Heart of Azeroth and Azerite Traits on helms, shoulders, and chests. Each piece has two or three “trait” rings with a choice of Azerite Traits: generic utility traits or spec-specific traits that amplify our spells. The center-most ring is a straightforward, 5-item level increase. Once you pick a trait, it’s locked in regardless of spec, so this means we’re back to carrying multiple full sets of gear whether we switch specs or even just playstyles. However, the traits aren’t locked in forever and can be reset for gold. Right now, your traits are limited to the same choices across pieces. When raids come out, you’ll have more choice as to what you can pick. But don’t worry about best-in-slot traits or anything like that. The traits you have access to now are simple and not game breaking, so it doesn’t terribly matter. Pick whichever one you like, and keep multiple gear pieces with different traits for different scenarios. Once you’ve had a chance to dive into Uldir a bit, and as top guilds get access to new gear, you’ll be able to see the new raid traits in action and how they compare. If you’re like me and quest as a Discipline Priest over Shadow, it’s worth it to keep multiple sets of gear for questing and for healing, regardless of whether you main spec heal as Discipline or Holy. One of the changes in Battle for Azeroth is that outside sources of damage, like from DPS trinkets or Azerite Traits, don’t contribute to Atonement healing (although modifiers to your base spells do). If you end up with multiple pieces of the same piece of gear or equal item level, it’s worth it to use one for healing Azerite Traits and one just for DPS Azerite Traits. The main pressing concern for gearing has always been stat weights. If you’re wondering what to gear for, generally the higher item level piece will win. Don’t worry too much about stat priority or getting a certain amount of one stat or the other. That’s all good when you have multiple pieces and can choose between them. The higher Intellect wins out for higher item level pieces — except rings, which don’t have primary stats. You’ll want to grab your preferred secondary stat if you can. Discipline still likes Haste, with Crit and Mastery as a close second, while Holy still likes Mastery and then Crit after. Just like in Legion, it’s good to have a balanced mix. Personal Loot also means we can’t be particularly picky about gear choices. If you get an upgrade, you can’t trade it to anyone else anyway, so you might as well use it. If you get multiple pieces of the same gear slot or someone else gets something they don’t need, then you can be choosy and play around with better itemization. What about the Darkmoon Deck? You’re probably wondering about the new Darkmoon Deck: Tides trinket for healers. Yes, it’s a good trinket. Whether it’s worth it depends on a couple factors. First of all, the Darkmoon trinkets cannot be upgraded like in Legion. At least for now, that is, because we cannot say definitely whether or not Blizzard will add the ability to upgrade in the future. This makes the trinket’s use limited in the long run, since it will be replaced fairly quickly if you’re raiding at all. If you have the gold, it’s a decent investment. The Darkmoon Decks are equivalent item level to Normal level gear from Uldir, and at Heroic or Mythic, you’ll obviously find higher stat allocation if you can get a trinket drop. The higher item-level trinkets win out over Darkmoon Decks purely because of the stats. The Tides trinket is good enough for both Discipline and Holy and provides a good start. If you’re Discipline, don’t use the Squalls trinket. Like I mentioned earlier, extra damage sources don’t proc Atonement healing, so they are nearly useless except outside questing situations or over-geared dungeoning. 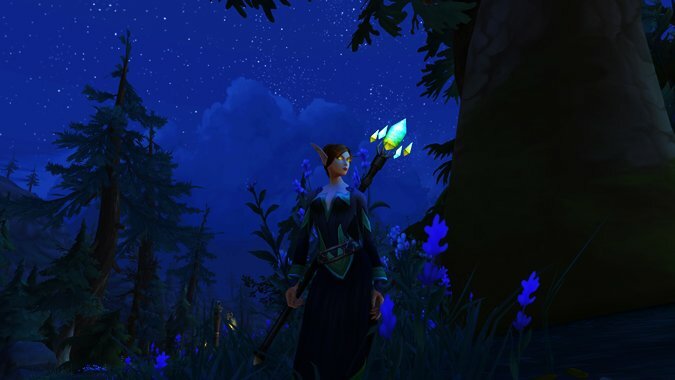 Discipline will want to stick with healer trinkets this expansion. Dungeons and raids will actually find a lot of crossover and similar talent choices. I know I ragged on Schism during beta, but the cooldown was nearly halved at some point from 45 seconds to 24 seconds. This made it much more lucrative to use. Now it fills in for the burst that went missing with the removal of Light’s Wrath. Combined with Power Word: Solace, Schism can be pretty strong with good mana return. The latter half of the talents is where personal choice and specific situations influence your selection. At level 75, the main choices are Sins of the Many and Shadow Covenant. Sins of the Many is a good default choice, since it gives up to a 12% damage increase, decreasing 1% by each Atonement out. Shadow Covenant can find some use as an emergency heal, but its absorb can be annoying and Sins tends to be more useful in general. At level 90, raids and dungeons will focus on Halo and Divine Star. Halo has great potential in raids, but can be hard to position in dungeons with mob density. Divine Star will generally be a good default choice for dungeons. I really like using Purge the Wicked when I’m questing, as the spreading from Penance is one less thing I have to target and apply, but its use is minimal beyond that. At level 100, we actually have a good selection of choice. For default situations or dungeons, Lenience is great for the damage reduction. In raids, you’ll likely find yourself taking Evangelism to extend your Atonements for burst. Luminous Barrier isn’t quite as overall useful as the other two, but it also has its moments. The one drawback to Power Word: Barrier is that it requires everyone to stack, and Luminous Barrier’s main benefit comes in when this isn’t possible. It will find use if your raid needs to be spread out a lot but also needs that clutch absorption. Talent groupings here make a bit more sense than they did in Legion. The Trail of Light and Surge of Light combo, at level 15 and 75 respectively, are still a strong combination in dungeons, focusing on Flash Heals to dole out strong single target healing. Enlightenment still takes the cake in raids. Level 45 saw some changes, most notably moving Censure to crowd control a row down and making this row more healing bonus based. Censure was my preferred choice throughout Legion, and in its place Guardian Angel sees some dungeon use. Having only 1 minute cooldown on Guardian Spirit if it’s unused makes it a very useful mini-cooldown in places where dungeons can hit hard. Afterlife saw a lot of use in Legion due to our awesome cloak, but it takes a backseat here. 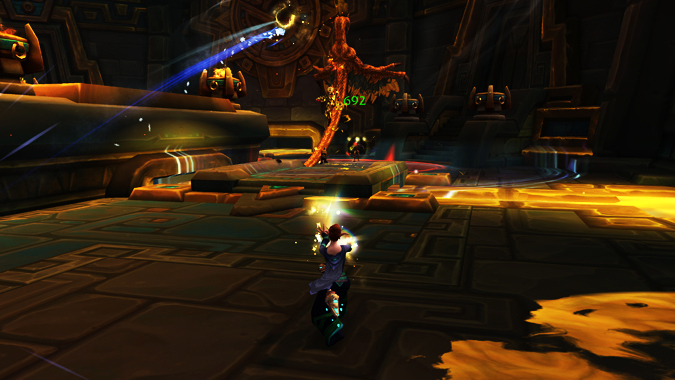 Cosmic Ripple comes back from our old Artifact Traits and is a good raid choice. While Surge is the clear dungeon choice at level 75, Binding Heal is once again the choice for raids. 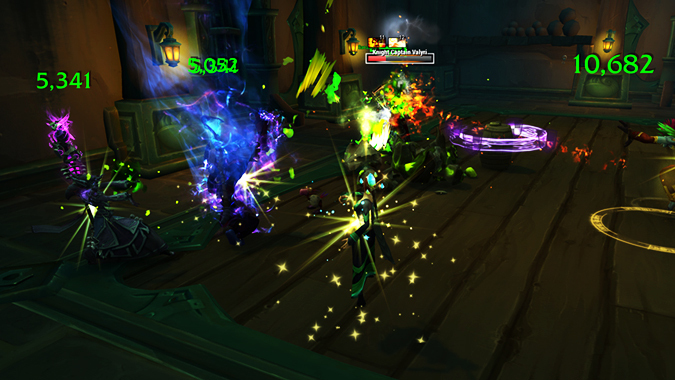 Moving ahead to level 90, we see Benediction replacing Divinity in a spot beside Divine Star and Halo. Benediction has been nerfed from Legion, but it offers a decent passive choice if you’re good about using Prayer of Mending on cooldown. Otherwise, you have the two AOE and damage spells and, much like Discipline, the same positioning limitations apply. At level 100, we see Light of the Naaru moved here, along with Apotheosis and a brand new raid cooldown Holy Word: Salvation. Apotheosis will always be a good choice for dungeons and Mythic+, while Salvation will be quite useful in raids as another major cooldown. Don’t be daunted by its long cooldown. With good Holy Word usage, it should drop to about four or five minutes. If you’ve been around for a minute, you probably know the drill: Gear through various dungeon difficulties until you’re maxed out to step into the raid. There are a number of bind-on-equip pieces that can randomly drop from mobs out in the world. Unless you’re cutting edge or just swimming in gold, you really don’t need to buy them. For the gearing grind, Normal dungeons can be a good starting point to get up to Heroic queue requirements. If you have a guild willing to dungeon it up with you, it’s generally worth it to skip the Normal dungeons and walk into the Heroic versions to bypass the item level queue requirements. As your item level goes up, so does the base item level of world quest rewards. Once you break 320, armor caches from emissaries will go up to 340. From there it’s just a matter of doing Mythic dungeons for 340 gear to be raid ready. And even if you don’t step foot into raids right away, today’s addition of world bosses and Mythic+ will give you a chance at better gear as well. 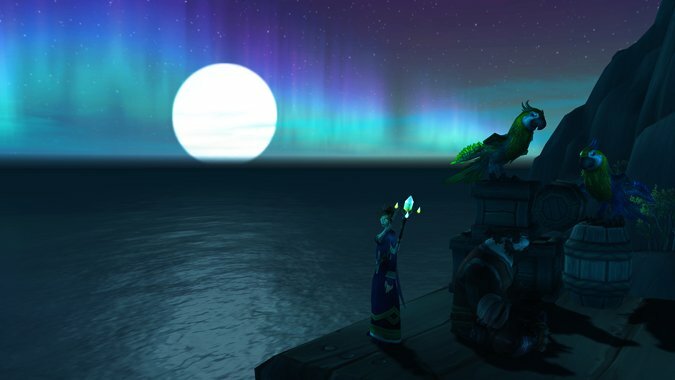 Battle for Azeroth is following Legion’s lead in that there are no best-in-slot lists, even more so with the removal of tier sets. There may be certain Azerite pieces you’ll want to get for Azerite traits, but everything else will depend entirely on RNG via personal loot or things like Titanforging.